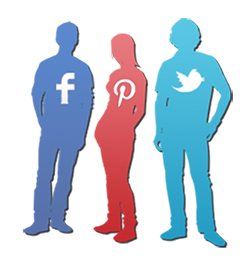 PhotoTouch offers companies a unique way to encourage sharing and brand interaction on popular social media sites. Our highly accessible and scalable communication techniques, coupled with the use of web-based and mobile technologies, turn photos into interactive dialogues capable of reaching a global audience. Whether you own a business or are hosting an event, the PhotoTouch system can create an easy and effortless way for guests to immediately post your branded photos onto their Facebook, Twitter or Pinterest Pages. With just the click of a button, your customers’ custom- branded photos will be turned into social advertisements for your company.